I love a new recipe and I love being inspired by people around me, much more so than by cookbooks really! 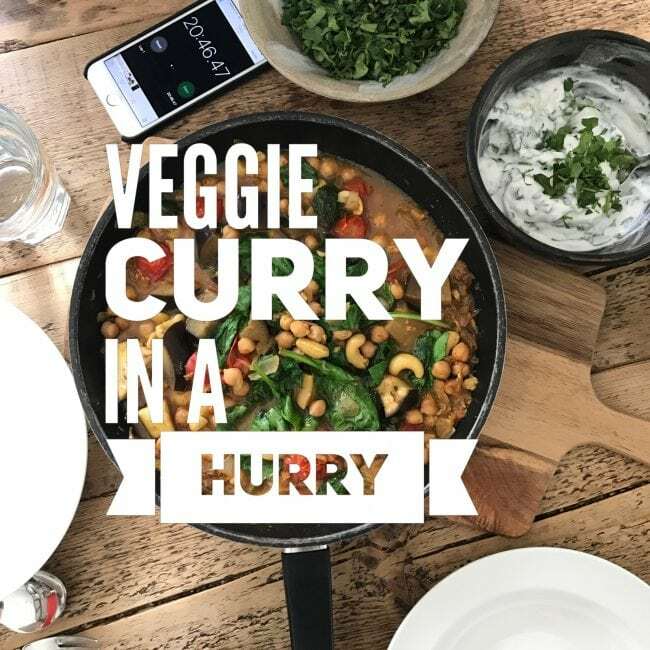 So when I cooked up this super quick veggie chickpea curry with the lovely Laura from Eat Train Be I couldn’t have been happier. Cooking for a whole family can be really boring with the same recipes each week so it’s great to spice it up sometimes and learn from each other! 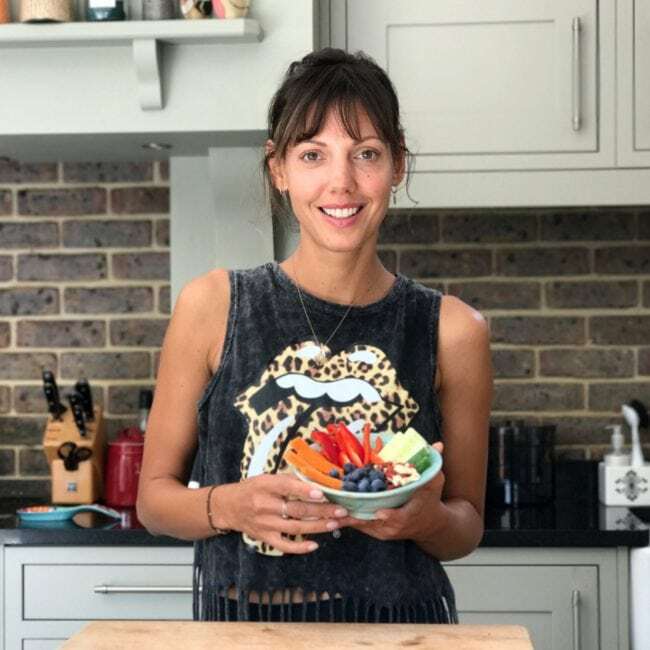 Laura’s recipes are lovely but I can always find ways of making a dish even quicker to prepare without loosing flavours! So this is exactly what we did with this veggie chickpea curry! A great dish with tonnes of flavour – cook it with a friend and have a laugh whilst doing so! Head over to my You Tube channel to see our video – and we will proof to you how easy and quick it is! In a big saucepan, heat the oil on a medium heat then add the onion and cook to soften. Grate the ginger and chop the garlic. Turn down the heat to low then stir in the ginger and garlic into the onion and cook for another minute or so. Add the dry spices and salt and cook for a further 30 seconds. Add the chopped tomatoes and the stock then cook for 10 minutes, uncovered stirring regularly to break down the tomatoes with the back of the spoon. Once the tomatoes have cooked down and reduced a little to make a sauce, add the aubergine cubes, cashews and chickpeas. Stir well to coat them with the tomatoes, then cover and cook again, still over a low heat for another 10-12 minutes until soft. You may need to add some water if it looks a little too thick. Stir occasionally. Finally add the coriander stalks and spinach leaves and cook for a couple of minutes, until they have wilted. Taste and check for seasoning. Serve this yummy veggie chickpea curry with quinoa or brown rice and keep any leftovers in the fridge for your lunch the next day.